Beyond Beauty: What did Ray find in her Delight box?? 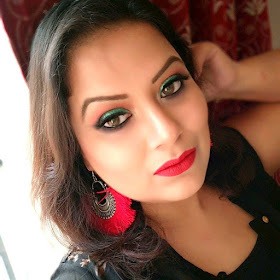 My Noble Secrets: Radha has reviewed her favourite eye shadow from Maybelline Eye Studio with EOTDs & swatches of the shade. Life is Crazy: Ooh la la…..yellow nail polish from EN-VY review and nail art.